Surgically implanted electronic device to regulate the heartbeat. This study aimed to evaluate the safety and efficacy of the Qinming8631 DR implantable cardiac pacemaker. Electroconvulsive therapy for a patient with a cardiac pacemaker. In creating a bright line rule for section 271(f), a statute that is better classified as ambiguous, the Cardiac Pacemakers court created a tangibility requirement for supply that unduly extends to patented products. 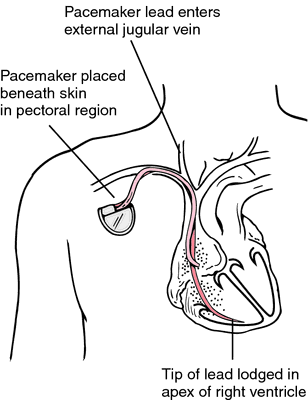 The use of cardiac pacemakers offers a familiar example. GlobalData's Medical Devices sector report, "Cardiac Pacemakers - Medical Devices Pipeline Assessment, 2016" provides an overview of Cardiac Pacemakers currently in pipeline stage. Cardiac pacemakers rank among the best-known electrical stimulators. Global Cardiac Pacemakers - Market Growth Analysis, 2009-2015 .